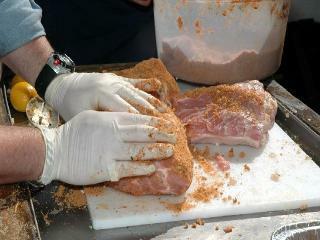 Our Texas BBQ Rub is the original rub that kicked off TexasBBQRub.com and is still our number 1 selling rub. We've been making this original family guarded secret rub for over 14 years. It is still made by one or several of our family members every night. Texas BBQ Rub was developed with you, the user, as well as the people eating your BBQ, in mind. We wanted to develop a rub that put a "wow" into the mouths of the people who taste it. We also wanted to keep it simple for you to prepare the meat. The Texas BBQ taste has stormed the world. Texas BBQ Rub is right in the middle of all of the hoopla. 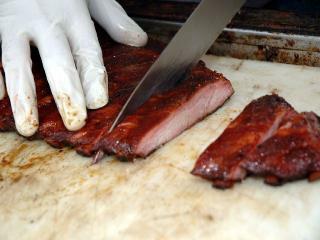 The spices in Texas BBQ Rub deliver the original taste of great Texas barbecue. It delivers that special Texas taste for you to use on your barbecue meat. The true Texas flavor is there. All you have to add is the smoke flavor and you will have great Texas barbecue. Texas BBQ Rub - Original Rub, is a combination of spices and sugars that when put on your favorite meat, delivers a unique combination of a bit of heat, followed by the taste of sweet. The heat that is delivered is just a bit of heat. It is not overwhelming, it is just the right amount of heat followed by the sweet. On pork ribs, this combination is just amazing to the taste buds. My grandchildren eat the ribs I prepare using the Original BBQ Rub, and they have been eating those same ribs since they were one year old. They have no problem with the slight taste of the heat. The same original Texas BBQ Rub you are ordering today won the prestigious 26th Annual American Royal Barbecue Contest - People's Choice Award for rubs in 2005. Texas BBQ Rub went up against all of the competition at the American Royal and the people voted Texas BBQ Rub number one! We also won the American Royal - People's Choice Award for rubs again in 2008 with our Brisket Blend Rub. We are the only two time winner of this national award. 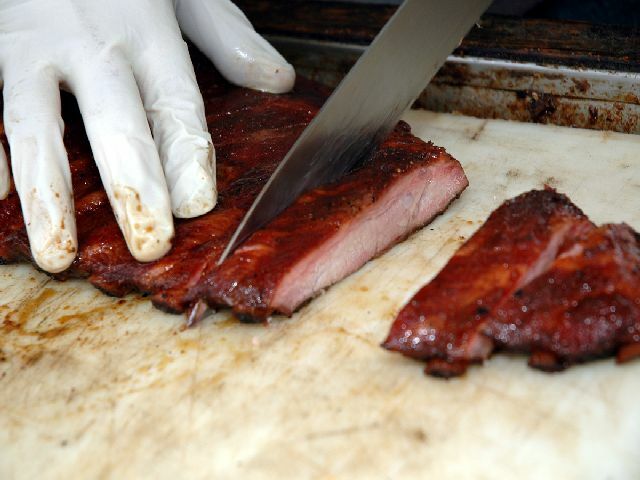 Join the thousands of satisfied customers, and don't miss your chance to taste the true taste of Texas BBQ. Use Texas BBQ Rub with the easiest method of meat preparation you will ever find: The Simple 1-2-3 Method. This method is talked about on this web site and is talked about all over the web. It was developed by Texas BBQ Rub to use with our rubs. We developed this method of meat preparation to be the easiest and fastest way for you to get your meat ready for the pit, smoker, or even the oven. It was designed for use with Texas BBQ Rub products. Apply about 1/3 cup of your favorite liquid to the meat you are preparing. I personally like worcestershire sauce, but Coke, Dr. Pepper, beer, hot sauce, fruit juices, or mustard can be used to help stick the rub to the meat. Apply Texas BBQ Rub to the meat. 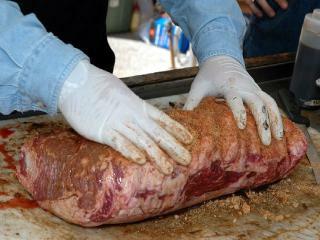 Place the meat in your smoker, pit, oven, etc. You can get meat out of the refrigerator and onto your cooker in minutes. There is no marinating, no covering the meat overnight, no meat taking up space in your refrigerator all night long, no worry about the marinade leaking in the fridge. None of those worries with Texas BBQ Rub combined with the Simple 1-2-3 Method. If you are pushed to the last minute, as so many of us are these days, your problem is easily handled with Texas BBQ Rub and the Simple 1-2-3 Method. Start the wood in your pit and get it going. 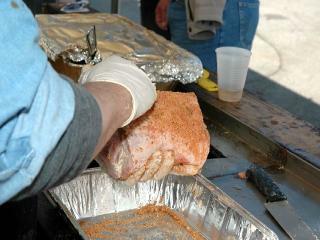 While the heat is building up in the pit, you have plenty of time to get the meat ready for cooking. Heck, you even have time to run to the store for last minute ribs, come home and prepare the meat, get the meat on the pit, and enjoy great tasting ribs with just a few hours time. That's it. No marinating, no placing leaking bags and wraps in the refrigerator, no flipping the meat over every couple hours. With Texas BBQ Rub, you have the convenience to get the meat ready when you are ready, taking just a few minutes to be finished with the preparation. Folks, it just does not get any easier to get your meat ready for BBQ'ing than this. Your meat can be prepared in 3 minutes or less. This simple method will save you hours and countless headaches each time you are going to cook some meat. Texas BBQ Rub - Original can be used on all of the meat you are cooking with great results. 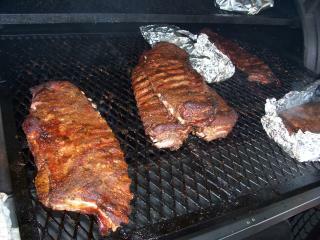 It's exceptional on pork spare ribs, pork baby back ribs, and pork butts. It is the combination of sweet and the hint of heat that makes pork ribs explode with flavor.